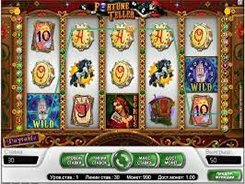 Fortune Teller is a 5-reel 30-payline slot developed by NetEnt. 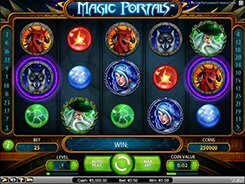 As the title implies, the theme of the slot is centered on fortunetelling, and the symbols set incorporates a black and white horse, a black cat, a gypsy wagon, and other theme-related icons including poker cards from 10 to Ace. A line bet varies from $0.01 to $2, so the maximum bet reaches $60 per spin. 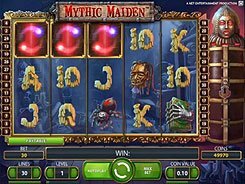 The slot features a scatter symbol, a wild, free spins and a bonus game. A wild which is the Palm acts as a replacement for regular symbols. Furthermore, hitting three, four or five wilds on a payline awards x200, x2000 or x7500 your line bet. 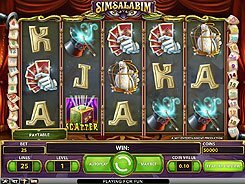 A scatter (Magic Orb) triggers 12 free spins if these three or more appear in any spot. During the free spins all your wins get tripled. The second-screen bonus feature starts if 3+ Fortune Tellers occur on a payline. In the bonus feature you are presented with a variety of Tarot cards. Your task is to keep them picking and get random coin prizes until finding the Death card that ends the feature.